When you rent a minibus to travel from one place to another you save a lot of money as compared to either renting equivalent number of cars or taking your own car. The amount you save usually is saved on diesel costs and renting costs. A minibus may cost you less for rental as compared to renting other kinds of vehicles. Thus by renting one you are saving a lot of money of your group. It is a fact that the more the merrier and the same holds true when you travel with a bunch of people. Travelling is all about journeys and journeys are made memorable with people. Thus rather than travelling in different cars, travelling in a minibus is a lot more fun and exciting. So ditch your cars and rent a minibus instead! When a bunch of people travel together, you are always ensured that the others in the group are safe and together. Moreover on a lot of terrains, a minibus is more stable and safe as compared to other kinds of vehicles. When you take cars, you have to keep waiting for other cars to ensure their safety but so is not the case in a minibus. When you stop over at different points while travelling or park your vehicle at your final destination, then a minibus takes much less parking space and this is another benefit of renting it rather than taking or renting other vehicles especially multiple cars. Now that you know the various benefits of renting a minibus, you too must consider this option the next time you are travelling somewhere. The best place to rent vehicles in Fort Worth, Texas is Dallas Limo and black car services. We provide you a gamut of vehicles for rent at affordable prices. So what are you waiting for? Rent the bus or any other car today! For all your Limo rental needs, contact us! 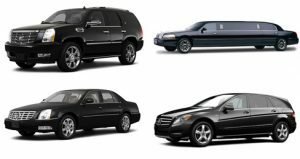 We provide a large fleet of limousines of all makes and models, depending upon your preference and needs. You can pick and choose from these cars whenever you wish to rent. All you need to do is to log on to our website and then select the model you like. You can check out its rental cost along with the total cost, depending upon your duration of rental. Whether you wish to rent a limo for a wedding or for a special occasion, for airport transfers or city tours, we provide them all. Moreover our limousines come with professionally trained chauffeurs which make the limo ride even more fantastic. Once you book a limo with us, we shall leave no stone unturned to make you feel like a king or queen. So ride in comfort and do not worry about anything since it is going to be a ride of your life. Dallas Limo and Black car service is one of the few modern day car rental companies which enable you to book online and even on phone 24 hours a day. Booking with us is very easy and convenient since it takes just a few minutes. So what are you waiting for? Pick that phone up to call us or send us a message online and we shall get back to you swiftly. All our limos are in perfect condition and you shall find no fault in them. Once booked, you can remain tension free since the service that you will get will be unparalleled. The cars are always washed, repaired and serviced for your convenience. So what are you waiting for? Book with us today and get local car service or limo service at the most affordable rates. Dallas Limo and Black car service is the one stop destination for all your car rental needs. 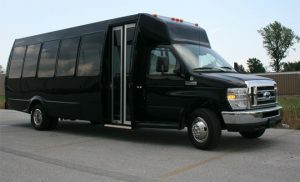 Besides limo service, there are many other rentals you can avail including mini bus rentals, party bus rentals etc. is the one stop destination for all your car rental needs. Besides limo service, there are many other rentals you can avail including mini bus rentals, party bus rentals etc. So for any requirements in Dallas TX, contact us and make your bookings on time. Looking forward to serving you in the best way possible. http://dallaslimoandblackcarservice.com/wp-content/uploads/2017/06/logo-2.png 0 0 DLadmin http://dallaslimoandblackcarservice.com/wp-content/uploads/2017/06/logo-2.png DLadmin2017-10-04 11:00:522017-10-04 11:01:34For all your Limo rental needs, contact us!